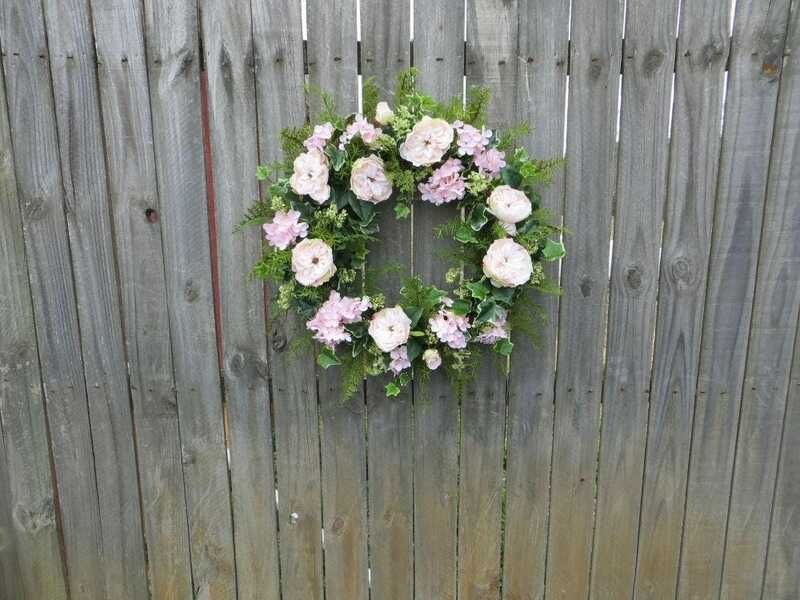 This beautiful pale pink wreath is perfect for use all spring and summer long. 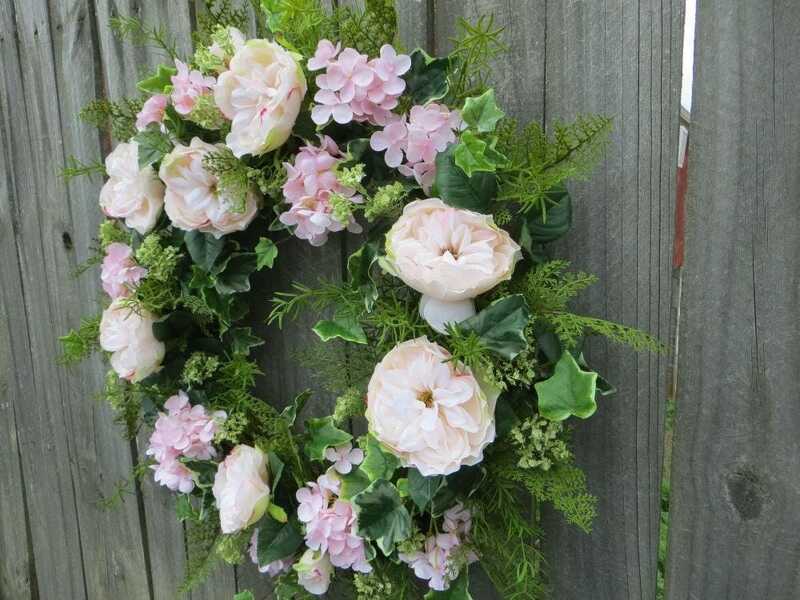 This wreath would also be perfect for a wedding or baby decoration. 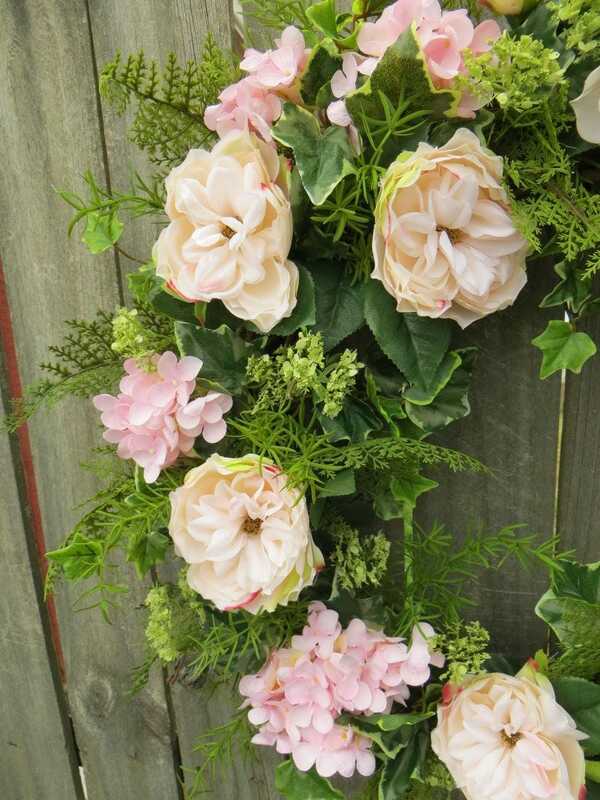 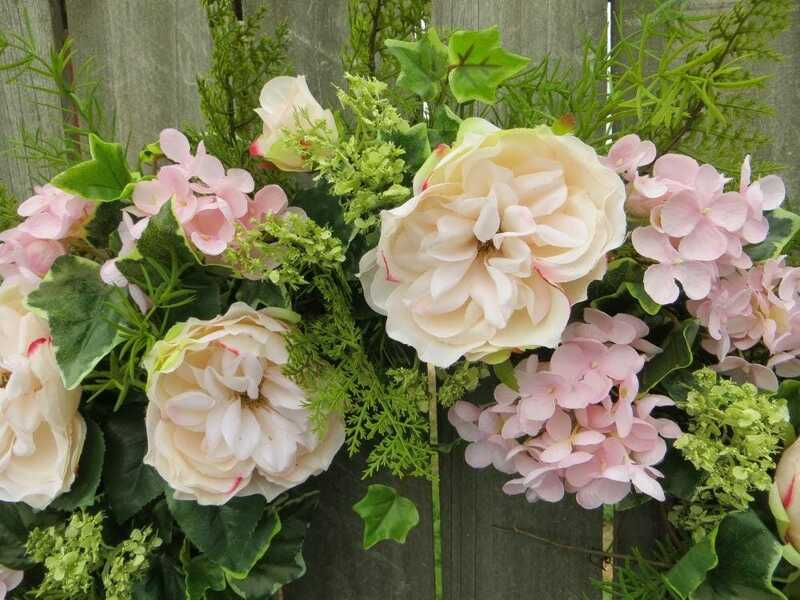 Gorgeous David Austin style roses and pale pink hydrangea are complimented by realistic ivy and fern. 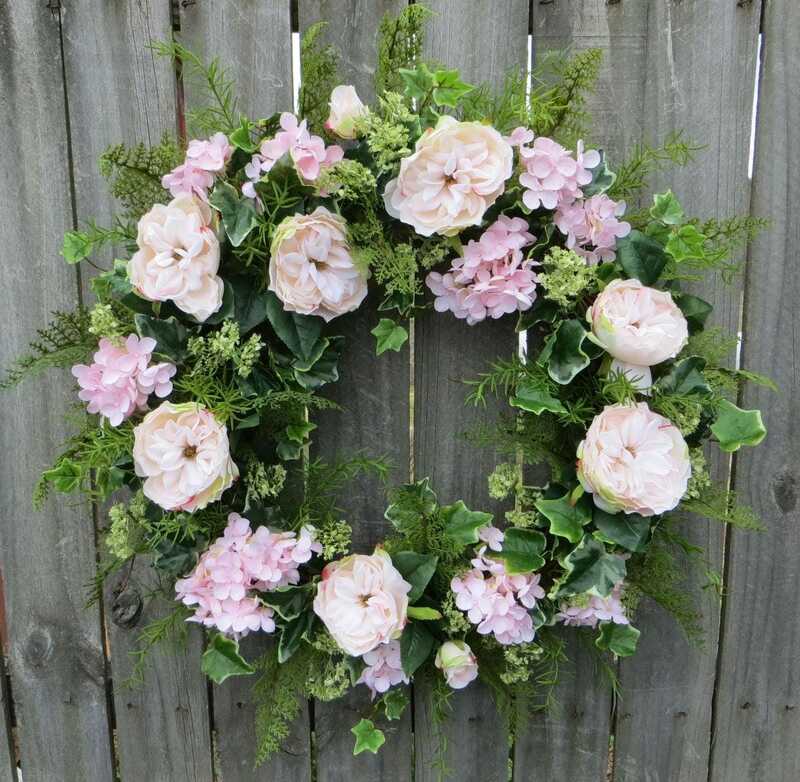 Please note that this wreath is made to order; therefore, due to its handmade nature, there may be a slight difference between the wreath in the photo and the wreath you receive.